Zlatan Ibrahimovic is the man. Wherever he goes the domestic league titles are won. Since the 01/02 season, Zlatan has won thirteen out of fifteen domestic titles. The other two times his team came second. Here is a reminder of Zlatan's powers and the league titles he has won so far. A few short days ago, Zlatan helped Paris Saint-Germain win their fourth consecutive French Ligue 1 title by scoring four goals vs. Troyes. The final score in the match was 9-0. Zlatan is a free agent this summer and there is a lot of speculation on where he will play next. Is he on his way to the English Premier League (he has played everywhere else), or is he holding out for another PSG payday? Zlatan is missing one trophy in his career and that is the Champions League. The odds of him staying in Paris are low because of that very reason. PSG have a legitimate chance of going all the way. If not this year, then certainly in the next few. 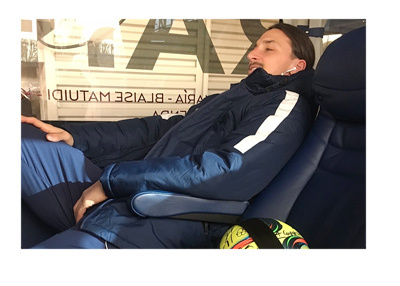 So where will it be Zlatan?